Today I’ve got the new Zoya Charming Spring 2017 Collection for you. This collection features six new nail lacquer shades as well as three lipsticks (one is new, two are previously seen shades). Three of the polishes have a creme formula and three are shimmery with micro-sparkles inside. All definitely have a very spring-like vibe about them, yahoo! Jordan is a light pink pastel creme. This is two coats. Abby is a pale pastel lavender creme. This is two coats. Tina is a medium amethyst purple creme. This is two coats. Amira is a light greyish-blue with micro-sparkles. This is three thin coats. Lacey is a pale celadon green with micro-sparkles. This is three thin coats. Millie is an intense violet with heavy pink and blue micro-sparkles. This is two coats. Violette Lipstick is an amethyst purple creme. For swatches of the other two lipsticks in this collection (Belle and Brooke) check out my post here. I actually like every single color here even though some of them might not be hugely unique. I think the least unique ones are Jordan and Abby, but they are still pretty spring colors. I really am digging Tina right now, it’s a really beautiful purple shade. The ones with the sparkles are all super pretty, and they look better in person. Amira and Lacey looked slightly more pigmented to me with a third coat, but you can definitely do two and be fine. Millie is gorgeous and the most interesting one to me and she was just two coats. 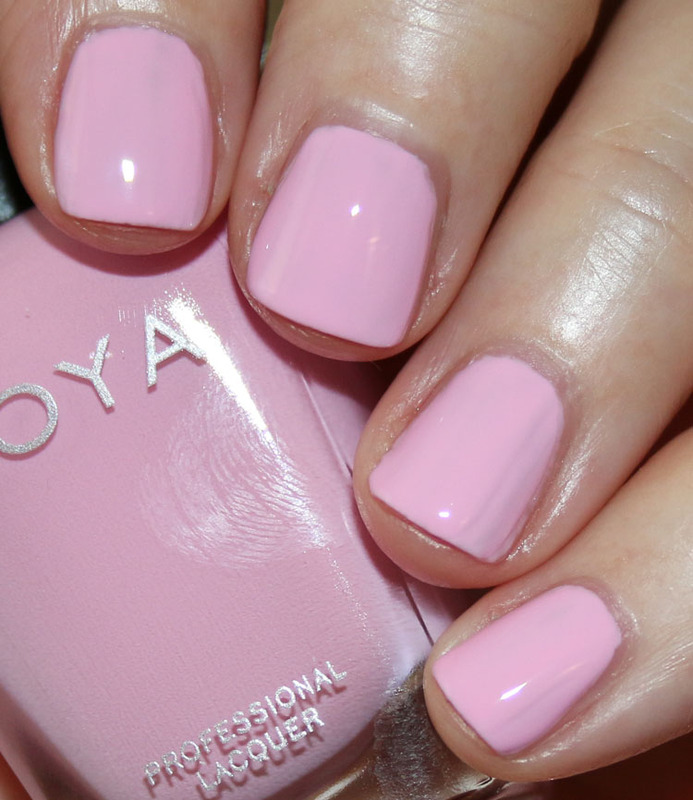 You can find the Zoya Charming Spring 2017 Collection on their site. The polishes are $10.00 each and lipsticks are $12.00 each. Will you be picking anything up from this collection for yourself? Since I am lacking in the lilac shade department, I do think I will be looking to buy Abby. Seems like this color is starting to appeal to me. As always your photos rock and I always wait for your photos before deciding what I want to buy. I want all the creams and Millie. I’ve been really curious about the lipsticks. Violetta looks like it would be really flattering. 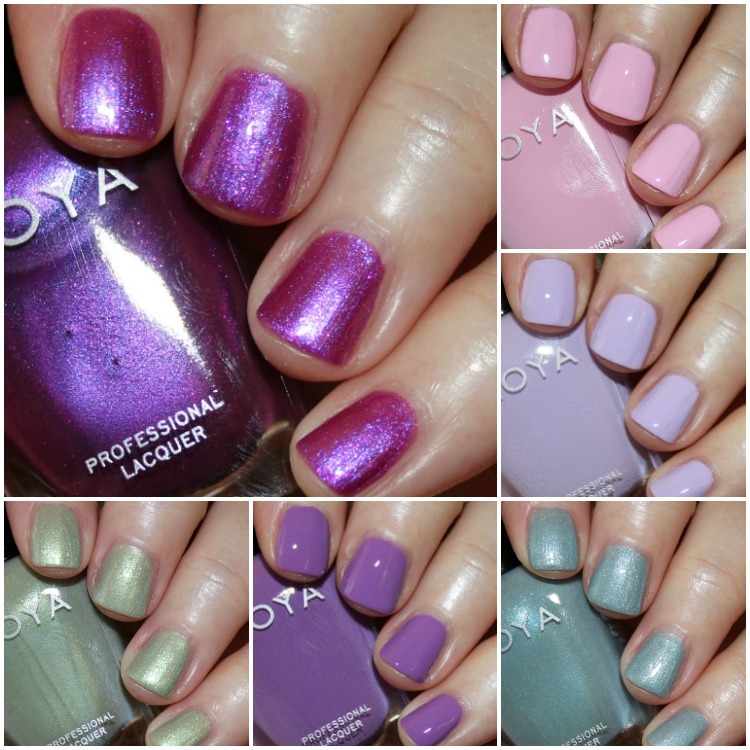 Zoya ran a deal a few days ago on this collection. It was $40, including the lipstick violette and free shipping. After seeing how pretty amira, lacey and millie are, I’m even more glad I jumped on the deal. Great swatches! I was waiting for swatches in the hopes I wouldn’t want any. 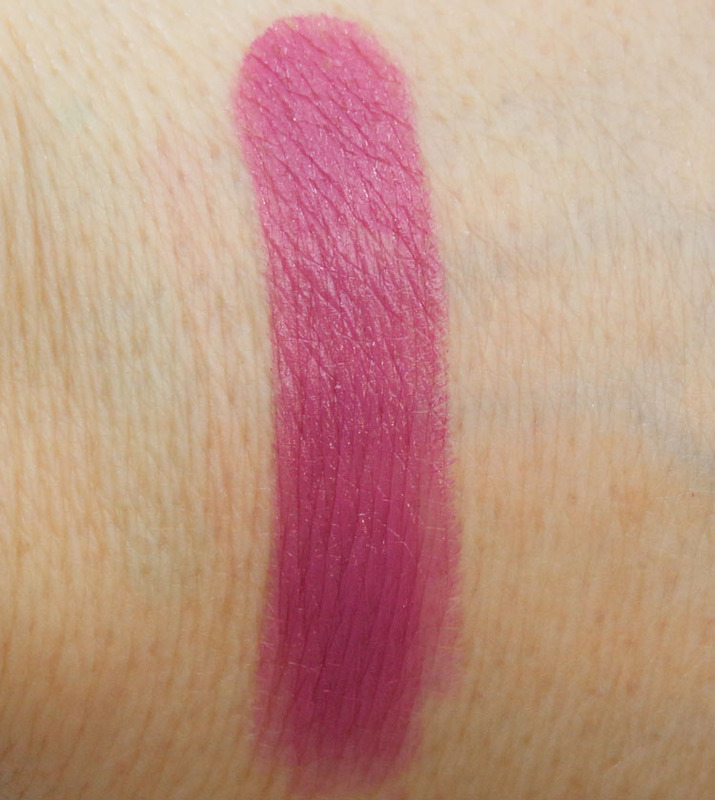 No such luck – Millie, Amira, Tina, and that so up my alley it’s painful lipstick Violette will eventually be mine! The Jordan and the Abby are beautiful, but look like they might apply a bit streaky. While I suspect that I already own a similar shade, I really like Tina. I like Amira, although I think Essie Closing Night is prettier to me. Millie is really nice… I’d certainly consider it.